Every once in a great while an individual steps out from the crowd to be recognized for endeavors far beyond what most consider normal … or even doable. They willingly sacrifice their time, effort and endurance for a cause they believe in so deeply in, that doing the (nearly) impossible becomes an attainable goal. Steve Cook is just such an individual, and his cause is of vital importance … Our Children! In the UK, the Liberty Beacon’s very own Steve Cook is preparing for the undertaking of a lifetime: a 4000+ mile walk of the entire British coast. Steve is a published author and Senior Admin of TLB’s UK website Go Forward Together and, in what can best be described as a drastic departure from his usual pursuits as a writer, starting in May this year he will hike … alone … the entire coast of England, Scotland and Wales … passing through over a thousand coastal towns and villages over a period of about nine months. When Steve completes his mega-hike at the end of this year (or early 2016 depending on how things go) we believe he will – at the age of 63 and a granddad – be the oldest man ever to have done something fewer people have achieved than have walked on the surface of the Moon. This is destined to become a major publicity event for a needed cause, with TLB promoting it internationally. We are proud to be associated with, and promote this massive undertaking. Not merely because Steve is one of our own, but because of the cause for which he is taking action and putting himself through such a test of endurance. So why on Earth (we hear you ask) would a man put himself through so much, what cause could inspire such an effort? We happen to believe, along with Steve, that it is a cause well worth extraordinary effort … If we wish to take positive action to build a new and better world. Although Steve happens to be based in the UK and this event will be taking place there, its importance extends beyond the bounds of one country and embraces the entire global community. It concerns the futures of our children who will become tomorrow’s adults and in whose health, soundness of mind and happiness we all have a vested interest, and a moral duty to foster. Our children are our most valuable resource and our very future! So what is the cause? What does he intend to achieve? Drugs are a blight on humanity with special emphasis on our vulnerable and easily influenced children and young adults. Bringing awareness of the chronic dangers associated with drug use to them at an early and impressionable age is vital to these intelligent souls making sound decisions that will seriously influence their entire futures. Steve hopes to bring this subject forward in their minds and that of their parents in a massive and global fashion. Could there be a more noble cause ??? 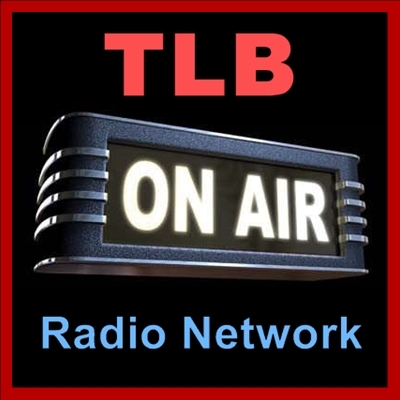 Please listen to the recorded TLB Special “Walking the Kingdom” on TLB Radio (linked below) to find out much more. In this special broadcast I discuss the project and the mission with Steve and special guest, Peter Dwan. Peter is a former British Thai Boxing Champion turned crusading drug educator, working hard to educate our impressionable children about the dangers and pitfalls of drug use. You’ll not want to miss this! Click on the image below to hear this great show. Click on the above image to hear this show.